"Is any man an Alfie? Ask any girl!" 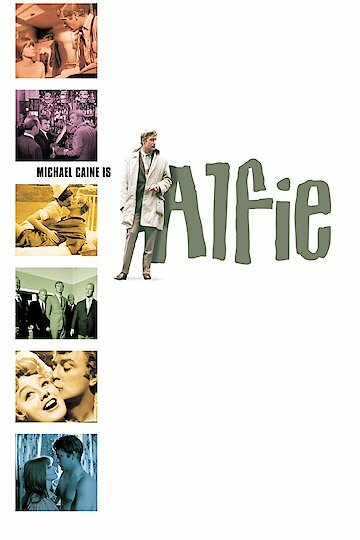 Alfie is a 1966 British romantic comedy that introduced a young Michael Caine to the movie going public. It is a romantic comedy with dramatic overtones based on a novel by Bill Naughton. Alfie is a self-centered womanizer who treats women in a chauvinistic and disposable manner. Alfie justifies his actions as he speaks directly to the camera. Alfie is currently available to watch and stream, buy on demand at Vudu, Google Play, FandangoNow, iTunes, YouTube VOD online.